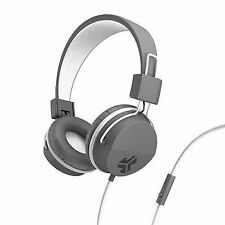 X 1 Jlab Audio Epic Executive Wireless Noise Canceling SEALED NEW! JLAB, EBJBUDSAIRBLK82. Tune the JBuds Air sound to your personal preferences with JLab Signature, Balanced and Bass Boost modes – without an app. Automatically turning on and connecting to each other right out of the case, they provide hassle free technology. JLab's World-Class Service. 6-hour Bluetooth battery life. Compact size and sleek design with ATP. Premium sound quality with 10 mm sound drivers. Two Year Warranty. SMART DESIGN: Designed using the industry's highest grade materials, these JLab earbuds balance durability with comfort. Also included with our products is a 2-year limited warranty to ensure you are covered for up to two years in case any issues with our products arise. PREMIUM SOUND QUALITY: At Jlab, we believe in providing the best possible sound quality for an affordable price that’s doesn’t break the bank. Perfect for running, jogging, hiking, yoga, exercises, gym and etc. Up for sale is a Jlab JBUDS PRO BLUETOOTH SIGNATURE EARBUDS. JLab Audio - JBuds Air True Wireless Earbud Headphones - Black. Condition is Used. Shipped with USPS First Class Package. Only used once. They don’t work for my ears for running. I only have the middle size rubber part. 4 out of 5 stars - JLab Epic 2 Wireless Sport Earbuds - Bluetooth 12 Hour Playtime - NEW! 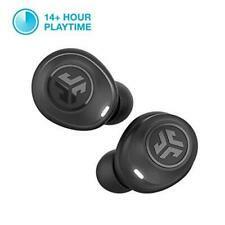 43 product ratings43 product ratings - JLab Epic 2 Wireless Sport Earbuds - Bluetooth 12 Hour Playtime - NEW! JLAB JBUDSPRO Wireless Earbuds - Black/Red Bluetooth Earbuds. Condition is New. Shipped with USPS First Class Package. Up for sale is a Jlab Jbuds Elite Bluetooth Earbuds. This case is used and is in good condition. It has been tested and is fully operational and functions as intended. Because it is used, there may be minimal nicks and sticker residue throughout the case. Perfect condition, ALL original equipment and box included. Jlab Epic Air True Wireless Earbuds Sport Charging Case. Condition is Used. Shipped with USPS First Class Package. Trending at $13.00eBay determines this price through a machine learned model of the product's sale prices within the last 90 days. Whether it' s a long commute, getting through a workout, or taking a walk, they'll stay by your side through it all. Built to Last. Light As Air. Ultimate Sound. Product derails. Warranty Full Manufacturer. 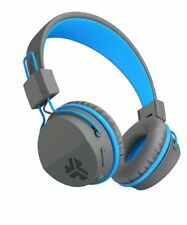 JLAB Neon Wired On Ear Foldable Headphones With Universal Mic And Track Control. EQ3 SOUND: Our radical EQ3 setting lets you change the sound to your preferred tune via the headphone, so your music sounds just right. Also included with our products is a 2-year limited warranty to ensure you are covered for up to two years in case any issues with our products arise. Compatible with all devices and cases. This unique design blocks out ambient sounds so that you can enjoy your music in public spaces, such as trains and buses. SMART DESIGN: Designed using the industry's highest grade materials, these earbuds balance durability with comfort. Model: EPRORBLK123. JLab Audio JBuds Pro Earbuds w/mic Black. This JLab Audio JBuds Pro Earbuds is in great condition. JLab Audio JBuds Pro Earbuds. ATP lets you adapt the depth of the earbuds for a customized fit. Tune the JBuds Air sound to your personal preferences with JLab Signature, Balanced and Bass Boost modes – without an app. AUTO ON & CONNECT: The JBuds Air automatically turn on and connect to each other once taken out of their charging case so you can keep going hassle-free. JLab Audio Epic Air True Wireless Earbud Headphones - Black - Broken Case Latch! "NEW" JLAB EPIC AIR TRUE WIRELESS SPORT EARBUDS with SECURE COMFORT HOOKS. Condition is New. Shipped with USPS First Class Package. "Our testers found that the JLab Audio Epic Air produced admirable audio quality, outperforming other truly wireless headphones, including the popular Apple AirPods.". The Epic Air Elite allows you to hear phone calls in BOTH earbuds. Best-in-class 12-hour battery life. All our electrical / electronic products work only on 110 Volts. Local Pickup Works with both Apple and Android. NEW JLab Audio JBUDSPRO-BLK-BO Earbuds. Condition is New. Dispatched with USPS First Class Package. JLab Audio Epic2 Bluetooth 4.0 Wireless Sport Earbuds - BLACK. Shipped with USPS Priority Mail. Groove while you travel with these wireless JLab Audio headphones. Enables simple wireless pairing with your Bluetooth-enabled device. Expert Service. Unbeatable Price. Wireless Connectivity: Bluetooth. Jam as you work out with these JLab Audio Epic Air wireless earbuds. Their 8mm drivers produce high-quality sound, and the built-in microphone lets you take calls hands-free and access Google Assistant or Siri. JLab Audio Fit 2.0 Bluetooth Enabled Wireless Sports Earbuds | Bluetooth 4.1 |.. Manufacturer: JLAB. With our dynamic pricing model, our prices are always competitive. Item part number: EBFIT2RBLK123. You're already purchasing the item. 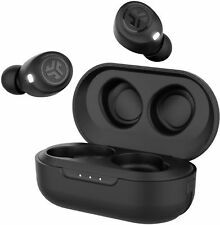 4.5 out of 5 stars - JLab Audio Fit 2.0 Bluetooth Enabled Wireless Sports Earbuds | Bluetooth 4.1 |..
4 product ratings4 product ratings - JLab Audio Fit 2.0 Bluetooth Enabled Wireless Sports Earbuds | Bluetooth 4.1 |..
JLab signature sound curve. Tangle-free Kevlar cable. This item is 100% fully functional. JLab Audio - JBuds Air True Wireless Earbud Headphones - Black. Condition is New. Shipped with USPS First Class Package. Brand new. Ships priority mail. Make: Jlab. Make calls. Listen to music. All from up to 30 feet away. Microphone in both earbuds. 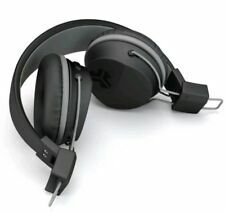 Fits securely and directs music into your ears for full, uninterrupted audio. Gives protection from sweat and water, so you can easily wear the headset while working out. Up for sale is a Jlab JBUDS PRO BLUETOOTH SIGNATURE EARBUDS. Link your Bluetooth enable device and stream from up to 30ft away. Adjust the comfort to meet your exact fit with our adjustable tip replacement and cush fin technology. Earbuds are in excellent working and physical condition. JLab Audio - Neon Wireless On-Ear Headphones - Black.